If you’re looking for hotels in Llangollen and places to stay near this gorgeous Welsh town then I’ve got you covered. Today I’m sharing some beautiful places to stay in Llangollen for your next weekender in North Wales. 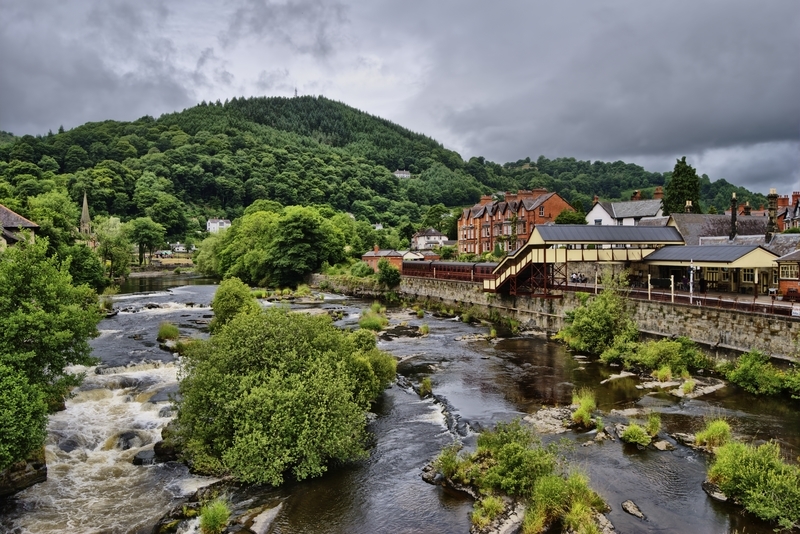 Llangollen in North Wales is known for its picturesque surroundings, its quaint town centre including the meandering River Dee, and the canal which carries pretty canal boats through breathtaking scenery. 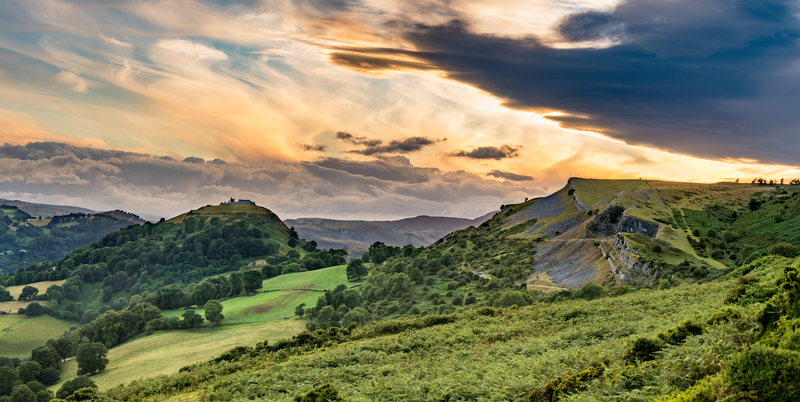 There’s so much to see and enjoy that if you’re planning a visit to Llangollen, you’ll want to stay for at least one night to have a chance to really get to know this little-known destination. So if you’re looking for hotels near Llangollen points of interest, this guide to the best Llangollen accommodation will help you to pick the perfect place for your stay. Whether you’re looking for a 5 star luxury hotel, a cheap and cheerful hostel dorm, or an incredible glamping experience, there’s something for everyone! If you’re looking for five star, boutique accommodation right in the centre of town, Manorhaus is the place for you. With only eight guest rooms, it’s a cosy hideaway that feels like a home away from home, with stylish decor and amenities like fast wifi and a small bar where you can relax in the evening. This Victorian townhouse is located right across from Castell Dinas Bran, one of the major Llangollen points of interest, which guests can admire from the rooftop hot tub, which is the perfect place to unwind after a day of exploring. The property is also home to The Cottage, self-catered accommodation in Llangollen that sleeps four people, if that’s more your style. A true escape from life’s hustle and bustle, in a place that gives you access to the incredible natural beauty Wales has to offer, The Forge offers visitors a trip they’ll never forget. Just outside Llangollen, in the town of Corwen, The Forge is more than just a place to rest your head at night. Offering on-site activities such as bushcraft and survival lessons, gourmet food experiences, and adventures for thrill-seekers, there’s no need to leave in search of things to do. 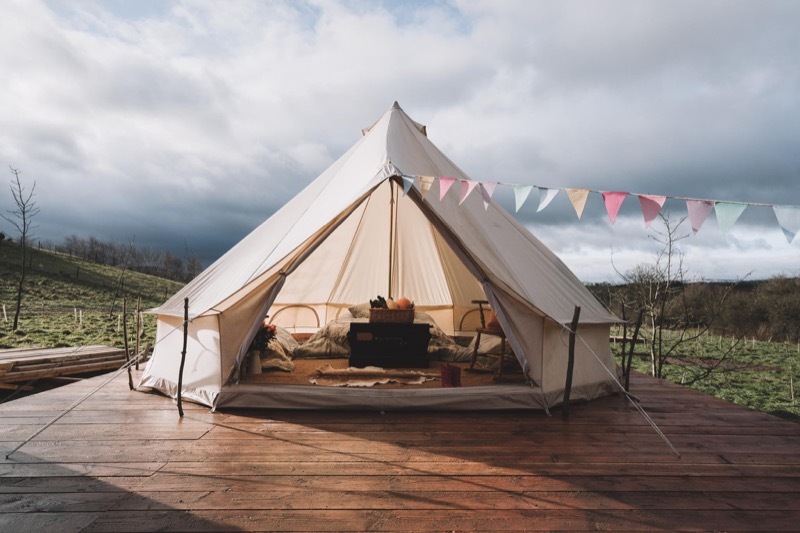 There are three luxury bell tents to stay in, which all come equipped with a double bed as well as two singles, storage space, lighting and a small camp kitchen. Read more about our perfect glamping weekend at The Forge. Rated one of the best hotels near Llangollen (just a few miles from the heart of the town), Mulberry Inn prides itself on its warm hospitality thanks to hosts Allan and John. Spend your evenings warming yourself by the cosy log fire in 18th century The Pheasant Bar, and enjoy a delicious meal at the on-site restaurant. Book a single, double, king or deluxe room and enjoy free wifi, a delicious Welsh breakfast, and a gorgeous garden that looks out over a lush valley. This luxury five star bed and breakfast in Llangollen is a restored 16th century guesthouse that sits right on the banks of the River Dee. Centrally located, this accommodation in Llangollen offers just three guest rooms, which are all stocked with amenities that make guests feel at home, such as tea and coffee, hair straighteners, dressing gowns and gorgeous claw-foot bathtubs. 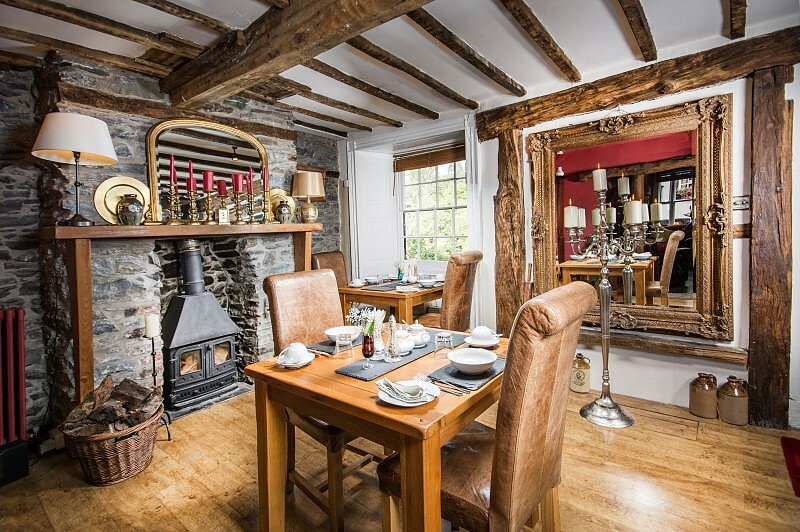 Locally sourced Welsh breakfast is included (with vegetarian options available), which will set you up for a day of exploring the guesthouse’s gorgeous surrounds. One of the most prestigious of all of the Llangollen hotels, The Royal Hotel is something of a local landmark in its own right. This hotel has earned its name, after hosting the young Queen Victoria as well as her mother, the Duchess of Kent, who would no doubt have enjoyed the terrace perched over the River Dee, and the stunning scenery beyond! The hotel’s 33 guest rooms have all been recently refurbished, while still retaining the heritage of this centrally-located property. This family-run guest house is located in a Grade II-listed historic building that recently won a ‘Rural Retreat of the Year’ award. The location is perfect for exploring the best Llangollen points of interest, and the single, double, twin and family rooms all come with free wifi, tea and coffee making facilities, and a home cooked breakfast (including gluten free and vegetarian options). The on-site Beehive Restaurant offers a cosy place for a meal after a day out exploring the region. With two options available to guests – a self catering holiday cottage that sleeps up to six, and a bed & breakfast barn that sleeps a maximum of two – there’s something to suit everyone in this stunning accommodation in Llangollen. 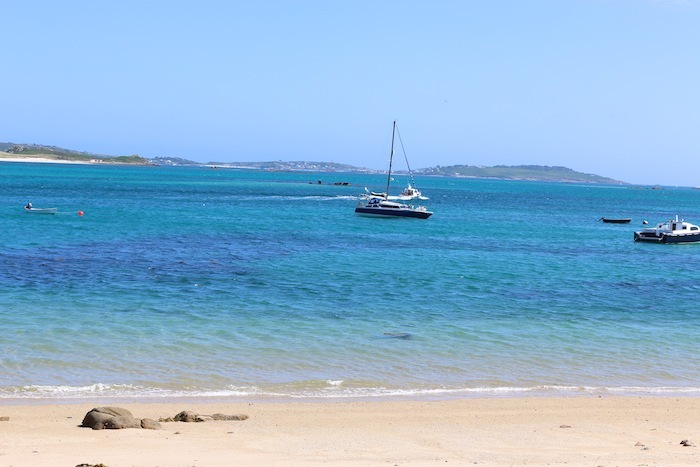 Just a mile away from the town centre, it’s an idyllic and tranquil hideaway. Enjoy beautifully furnished rooms, stunning views, and everything you need for a break with friends or family – if you’re in the cottage, that includes a BBQ and board games, too! If you’re looking for cheap Llangollen accommodation, or you’re a solo traveller and you love meeting other people, book a room or a bed in a dorm at the lovely Llangollen Hostel. Even if you’re not usually a hostel-goer, this one is clean, comfortable, and friendly, in an incredible central location, and at a fantastic price. The property offers twin and double rooms, en-suite family rooms, private four-bed and six-bed dorms, and a shared six-bed dorm. As well as free breakfast, the price of your bed in Llangollen Hostel includes free wifi, a modern kitchen, a book exchange, laundry facilities and games for everyone to enjoy. If you’re looking for a bit of pampering while you’re in Llangollen, book a room at the Wild Pheasant Hotel Llangollen, located in the lush Vale of Llangollen, just half a mile from the centre of town. Here you’ll find 46 luxurious rooms and suites, a brasserie, free wifi and a spa where you can soak (or knead) all of your cares away. If you really want to treat yourself, book into the Dee Valley Suite, which comes with its own balcony hot tub! Although there are plenty of Llangollen hotels available, if you prefer to experience a destination like a local, an Airbnb apartment might be the best way for you to enjoy Llangollen. This one is located in the centre of town, and it even has its own roof terrace for memorable breakfasts or sundowners. There is a double bed and a sofa bed, so it sleeps up to four adults, is clean and neat, and makes the perfect base for exploring all of the incredible Llangollen points of interest nearby. Use this link to get £25 off your first Airbnb booking.